Prime northeast corner unit w/sweeping lake & city views at Olympia Centre! This home offers 2500+ sf of gracious living & entertaining space. The 3rd bdrm has been opened up into the living rm to create a great den/fam rm, but could easily be converted back into a bdrm. The dining area w/a dry bar is open to the living room. Wonderful eat-in kitchen with spectacular views, great counter space, double ovens, plus a built-in desk area. Expansive master suite has dual marble baths, one featuring an oversized shower and the other with a large soaking tub. There is also a fabulous walk-in closet. The 2nd bedroom has great closet space & wonderful views. There is an abundance of storage w/in the unit & a true laundry rm. A gracious foyer, large hall bath, & powder rm complete this beautiful home. 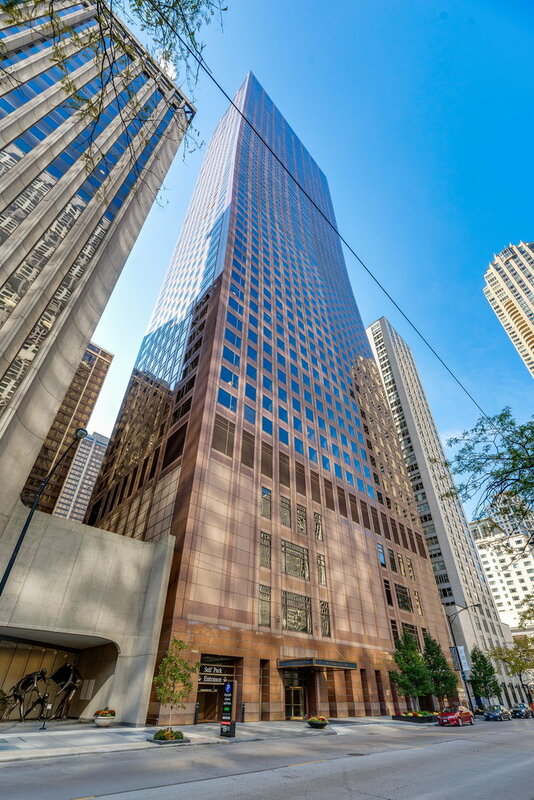 161 Chicago is a full service bldg w/24 hour doorstaff, concierge, pool, party room, fitness centers, sundeck & more! Steps from the lake & Michigan Ave shopping & dining. Property information last modified by seller on Thursday, January 17, 2019, 03:30 PM CST. Information Deemed Reliable But Not Guaranteed. Unauthorized duplication, use, or linkage is prohibited. The information on this web site is for personal, non-commercial use and may not be used for any purpose other than to identify prospective properties consumers may be interested in purchasing. Monthly Payment Calculator results are for illustrative purposes only, not a financing opportunity; calculations assume a 30-year fixed-rate mortgage and do not include closing and other costs. Property Tax on NEW properties is estimated at 1.5% of Listing Price for payment calculation purposes; actual value may be higher or lower.